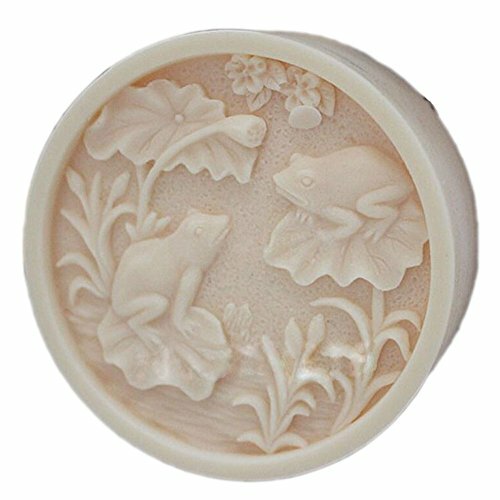 GRAINRAIN Silicone Mold Soap Molds Soap Making Mould Resin Mold Handmade Soap Mould Diy Craft Art Molds Flexible 1 pc Details: - High-Strength silicone, flexible. - The long-term available. - Easy to use and clean; reusable; non-stick; - It will hold the shape for years; Keep it away from fire, gas oven and knife. Size&Color - Please check size or dimension info before order. - Silicone color : White Customer Service - If you have any questions, feel free to contact us. We will send response within 24 hours. 1/2 inch thickness(approx) High quality strong mold. The details on the mold is delicate and clear, durable for long time use. For making Handmade Soap, Candle, Resin, Polymer clay and other Craft art etc. The color of the mold will be sent randomly. Most in color White, some in pink or other color. Item located in China. Shipping time from China to United States need about 7~15 days normally. Sometimes may be longer due to custom screen. View More In Soap Making. If you have any questions about this product by GRAINRAIN, contact us by completing and submitting the form below. If you are looking for a specif part number, please include it with your message.